O’Neill Cold Water Classic Series 2011 dives into the deep south of the Pacific Ocean for the first event of the year being staged at Gisborne on the East Coast of the North Island of New Zealand. 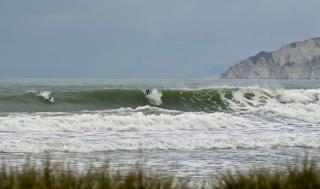 The event, contested between March 23rd – 29th is set to receive a big south swell being generated out of the Roaring 40’s below New Zealand. The weather system is set to cool the temperatures both in and out of the water as New Zealand changes seasons and heads toward the winter months. In the round of 144 James Wood surfs Ht1, Stephen Walsh surfs Ht 17 and Anthony Walsh surfs Ht 22. 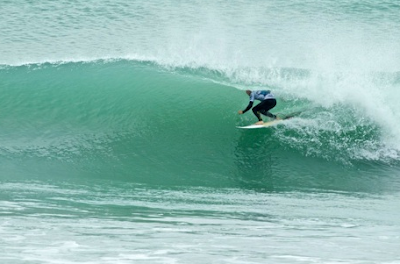 Adam Melling kicks off in Ht 1 round of 96 and Stu Kennedy surfs in Ht 18. Good luck fellas. Steph Walshy had a good win , dominating his opponents with one of the highest heat totals of the day. Woody also progressed in the dismal conditions and joins Stephen in the round of 96. Anthony Walsh took a while to get going but finished strong to win his round of 144 heat. 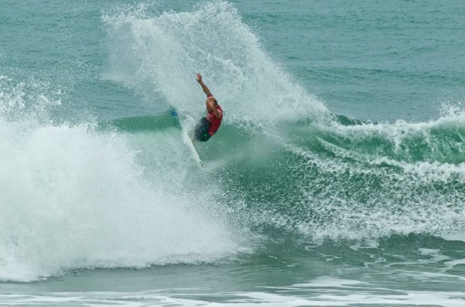 Mello started the round of 96 with a solid heat progressing into round of 48. Unfortunately Woody got lost in the Gisborne washing machine and was eliminated. A change of venue today and much cleaner conditions on offer at Gizzy Pipe. 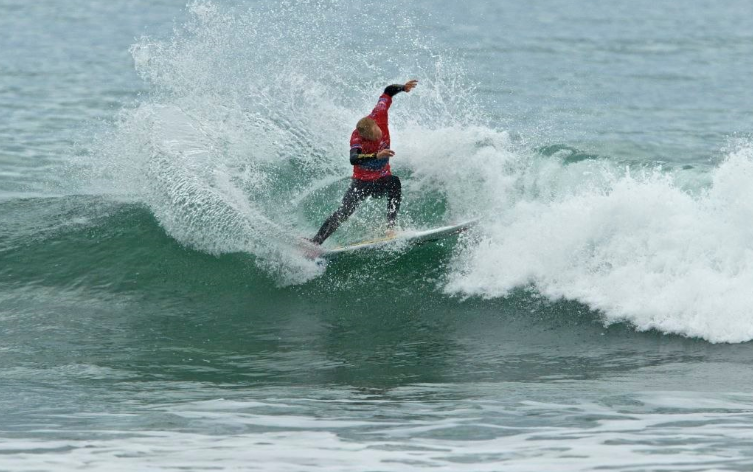 Stu and Stephen Walshy both surfed solid heats and progressed thru to the final 48. Unfortunately Ant Walsh couldn't find the waves with high scoring potential and was eliminated. A great day for Mello today with dominant perfomances in the round of 48 and 24 heats at Gizzy Pipe with a slight drop in swell but a cleaner line up. Stu was also in great form as the event gets toward the business end and joins Mello in the final 16. 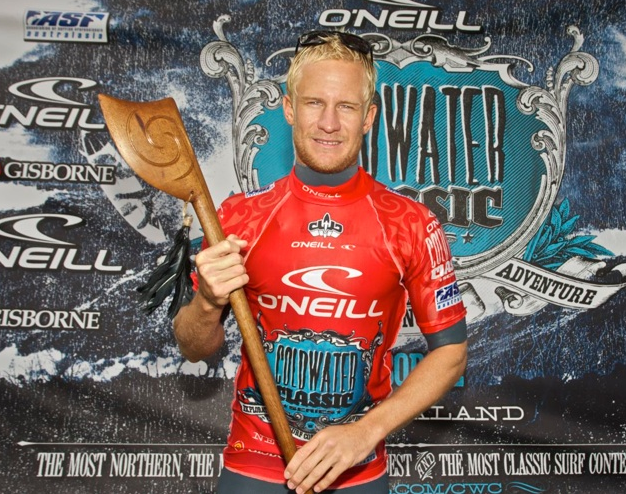 Stuey is the defending event champion having won the Tasmania leg of the O’Neill Cold Water Classic Series in 2010 which was moved to Gisborne for 2011. He is keen to defend his title at this year’s event. Walshy was eliminated by 1.00 points in the round of 48 and finished the 6 star event in 25th. Good on ya mate. A delayed start was forced on the competitors due to small conditions. Mello controlled his heat from the outset in the round of 16. He posted a 14.00 point heat total to defeat Nic Musccroft (10.90) in the first heat of the round which he was happy to see the back of. Stu started slowly in his heat but after he was given a score that left him 0.01 points behind he went ballistic. Stu took to the air and left the commentators dribbling with scores of 8.23 and 7.43. Mello has won the CWC New Zealand 2011 event. In the quarters he was dominant and Stu also had a good win. Unfortunately Stu couldn't find the larger waves with higher scoring potential in the semi and finished 3rd with 2080 ratings points. In his semi Mello was untouchable against Tom Whits. In the final Mello turned into the Iceman, waiting for the better waves and actually staying in 2nd place until the final 30 seconds when he detonated on a big right to take out the event. $20k and 3500 points - Happy Birthday. Love ya work mate.